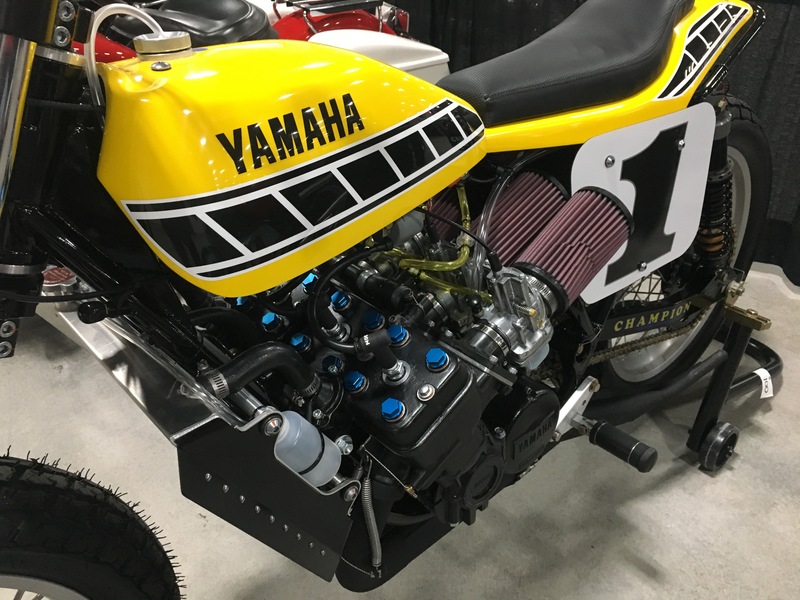 The Mecum Motorcycle auction from South Point Casino in Las Vegas, Nev. is a must attend for any two-wheel enthusiast. The event runs from Tuesday to Saturday with an estimated 1,750 motorcycles from all different eras rolling across the famous stage. About a thousand registered bidders took part. The highest bid at this year’s auction was a staggering $650,000 for an ultra rare 1939 Crocker Big Tank. As was the case last year, several outstanding classic Japanese motorcycles were up for bid. Enjoy a beautiful array of two stroke triples, Z1, KZ, Z1R, GS and much more. The prized 1939 Crocker that sold for $650,000! The very desirable 1969 Honda Z50, finely restored. 1986 GSXR 1100, first year for the model. A beautiful 1975 Kawasaki Z1 900, the last year for the Z1. A stunning piece of history, a 1972 nostalgia Nitro dragbike based on a Harley-Davidson Sportster. A massive collection of amazing bikes can be found at Mecum every January. Join us next year.